he's like a detuned ra_di____o. and we have crashed her par_ty____. but we're still on the pay___roll. Sounds fine for me but I would change at “radio” “party” and “payroll” from C Am Bm D to Am Am Bm D. thanks! E sounds better than E7. I love this! Works great especially for beginners. This doesn’t work on ukulele. The chords are far from standard. Radiohead are an English alternative rock band from Abingdon, Oxfordshire. 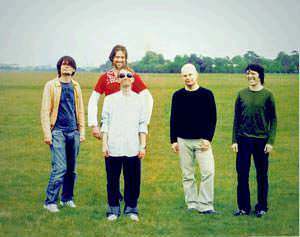 The band is composed of Thom Yorke (lead vocals, rhythm guitar, piano, beats), Jonny Greenwood (lead guitar, keyboard, other instruments), Ed O'Brien (guitar, backing vocals), Colin Greenwood (bass guitar) and Phil Selway (drums, percussion). Radiohead released their first single, "Creep," in 1992. The song was initially unsuccessful, but it became a worldwide hit several months after the release of their debut album, Pablo Honey (1993). .